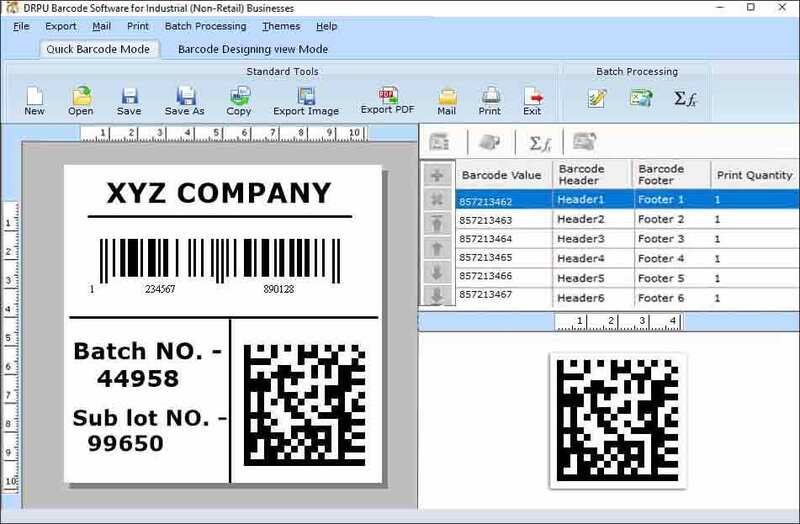 Company presents barcode maker software to create barcode images supports to linear and 2 dimensional barcode font standards that useful in different industrial requirements. Best industrial barcode creator software generates innovative barcode stickers, tags, images by using various designing objects like rectangle, line, ellipse, curve, pencil, text, picture etc and saved in different image formats including bitmap, jpeg, jpg, png, exif, gif, emf etc at user specified location for future reference. Comprehensive barcode label maker software generates stylish, perfect quality and attractive barcode labels with inventive print settings that useful to print bulk barcode images simultaneously and supports print preview features to avoid any printing mistakes. Expertise offers barcode software to generate colorful and customized barcode images supports to all latest barcode font symbologies including linear (Coda bar, Code 11, Code 128, Code 39, Code 93, Code 39 Full ASCII, EAN13, EAN8, Industrial 2 of 5, Interleaved 2 of 5, ISBN 13, MSI Plessey, Planet, Postnet, Tele pen, UCC/EAN-128, UPCA, UPCE, USPS Tray Label, USS-93) and 2 dimensional (Data bar, Data bar Code 128, Data bar Stacked Omni, Data bar EAN 13, Data bar EAN 8, Data bar MicroPDF417, Data bar PDF417, Data bar UPCA, Data bar UPCE, Data Matrix, Maxi Code, PDF417, QR Code, MICR Font). Enhance barcode label creator tool generates barcode lists by using constant value series, random series or sequential series list generating features. Features: * Software supports all major versions of Windows Operating System. * Software does not require any technical knowledge or programming skills. * Software prints multiple barcode images simultaneously. * Software improves productivity and business efficiency in short span of time. * Option to hide barcode caption and values. * Software helpful for increase any industrial efficiency in most economical manner.